A country marked by controversy, Iran’s social, cultural and political dynamics are too often reduced to a few misleading clichés. Islamism is widely considered to shape all social relations in Iranian society and, while Iranian society is indeed Islamic, this term’s multiple meanings in everyday life and practices go far beyond the naïve and monolithic idea we are used to. 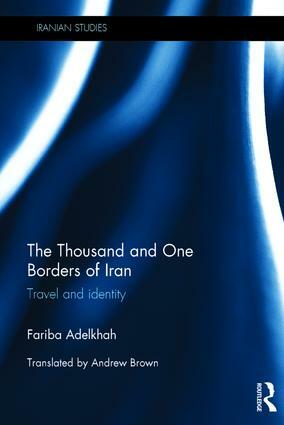 The Thousand and One Borders of Iran analyses travel as a social practice, exploring how diasporas, margins and so-called peripheries are central in the construction of a national identity and thus revealing the complexities of Iranian history and society. Written by a leading anthropologist, it draws upon fieldwork carried out in Iran and Iranian migrant communities across Dubai, Tokyo and Los Angeles from 1998 to 2015. While casting new perspectives on the place of transnational relations in an increasingly globalized world, this work also sheds new light on the evolution of Iranian society, countering the explanation furnished by nationalist ideology that has been reproduced by the Islamic Republic itself. Its unique approach to the analysis of Iranian society through the theme of travel and borders considers the links and even the quarrels between the centre of Iranian society and the periphery, and the foreign elements that have contributed to society’s development. Travel is key to these interactions and, following the travels of merchants and workers, students or the faithful, elected officials and experts, or exiles and refugees, this book offers an anthropological study of travel that re-thinks Iranian history and national identity. This book would be of interest to students and scholars of Iranian Studies, Middle Eastern Studies and Anthropology. Fariba Adelkhah is a social anthropologist and director of research at Sciences Po/Centre d’études et de recherches internationales (CERI) in Paris. Her main research interests focus on the interplay between social changes and political transformations in Iran since the second half of the twentieth century. She has also undertaken important research on Afghanistan as a mirror for Iranian society.